“It is an exceptional business with a reputation for clinical quality and a key partner to much of the profession in the UK...” – David Hillier, IVC chief executive. Association said Government Immigration White Paper with minimum salary requirement of £30,000 for OVs to obtain visas will have “devastating consequences for UK trade”. The Linnaeus Group has made a second £60,000 charity donation in the space of just more than a month. “To receive the award for the best pet insurance company is a great accolade and one we’re very proud of” – James Barnes, head of sales and partnerships at Petplan. 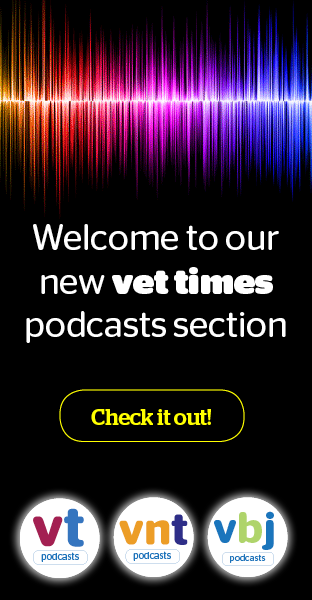 Company used London Vet Show to announce its plans to combine its buying groups, veterinary wholesaler operations and practice management system services into one integrated platform. Sponsored by Veterinary Times and VN Times, accolade aims to recognise company or veterinary practice that has delivered most innovative public relations programme of past 12 months. “We’re excited to be playing our part in collaboration with the Felcana team, to ensure veterinary practices can make the most of this opportunity” – Sally Clarke, Simplyhealth Professionals. Up to 30 veterinary practices could be closed after the group reveals plans to overhaul its chain, citing rising costs as a factor. Former BVA and SPVS president Gudrun Ravetz has joined the preventive health care provider on a permanent basis, after being named head veterinary officer. The woman responsible for establishing the in-store Companion Care joint venture model has come back from retirement to head Pets at Home Vet Group. The new TVM UK building is composed of office spaces renovated from old barns on a farm site and boasts environmentally friendly qualities. IVC Group – for sale or not? Chief executive David Hillier says group is “potentially seeking additional funding”, but it does not imply “any change in ownership or strategy”. “This is a new move for both the veterinary nurse education establishment and VetPartners” – RVN Lisa Bugh, Lynwood School of Veterinary Nursing. UK’s leading pet care business aims to “tap into the vast potential of its data” to ensure business reaches its full potential. Dorset veterinary director Yoav Alony-Gilboa takes over from Iain Richards at helm of SVS, which builds strong links with sheep farmers through National Sheep Association. Association warns changes must protect recruitment capacity of vets from the EU, not introduce “new layers of bureaucracy”. One of the UK’s leading pet insurers has announced changes to its free cover product, as well as a revamped digital system to simplify the process for clients. Award-winning Black Country veterinary practice celebrates continued success with local and regional business achievements. “Practice made perfect” was the theme at the company's sixth annual event, held in Kenilworth.